As pledged in the manifesto to raise the minimum daily wage rate to Nu 450 from the existing Nu 125, the Prime Minister (Dr) Lotay Tshering announced recently in the parliament that the newly instituted fourth pay commission is currently working to come up with a decent minimum daily wage rate. Lyonchhen said that while the pay commission will come up with independent decisions, he has however advised the commission to consider the broader vision of narrowing the gap while making such decisions and come up with realistic outcomes that will benefit the nation as a whole. The Prime Minister maintained that one of the main rationales for considering the raise on minimum daily wage rate is to improve the overall livelihood and living standards of the minimum wage earners so that they can keep up with the rising cost of living. The proposed minimum wage rate of Nu 450 or 500 is almost a 4-fold increase from the existing Nu 125 and has great potential to bring down the poverty rates in the country. Studies have shown that another advantage of increasing the minimum wage rate will not only benefit the employees, but will also help the company achieve its target due to improved morale of the employees resulting from higher wages. “Business owners frequently note the challenge of providing sufficient encouragement to spur workers to put maximum effort into their job duties, and that this is particularly problematic with low-wage workers who feel that their efforts aren’t even managing to keep them out of poverty,” notes J.B. Maverick, a finance and business specialist. Increase in the minimum daily wage rate is also expected to help create robust businesses, which will result in the economic growth of the country through the citizen’s ability to spend more on household consumptions. On the other side, the country’s weak and largely neglected, but optimistically labeled the ‘engine of growth’—the private sectors and the growing manufacturing industries in the country will bear the brunt should the proposed rates come to fruition. With the increase in the minimum wage, the company’s cost of operation will also increase which might then lead to an increase in the prices of the products and services to cover their increased labour costs. The products manufactured in the country already bear the reputation of not only being crude but expensive, and an increase in the wage rate might only testify to the doubts owing to the increase in the price of goods by businesses due to high labour cost. This might result in increase in the imports of cheaper goods, directly affecting Bhutan’s fledging CSI’s, which is in dissension with the government’s aim to promote the new and at the same time empower the existing CSIs. The labour intensive companies in the country, most of which have miles to go before finding a firm footing financially, will be forced to cut jobs to maintain their earning and the employees who have been retained with increments will have to compensate for the lack of company’s ability to recruit more workforce, and this can be physically and mentally taxing. The raise in the minimum wage may also increase the number of people working on the black market so firms can avoid paying the legal minimum. Representatives of the Association of Bhutanese Industry feel that although it is a welcome move to improve the livelihood of the people, they however, expressed that instead of working to increase the minimum wage rate abruptly to Nu 450, the government should instead increase the wage rate gradually so that the companies, especially the labour intensive companies like the manufacturing and hospitality sectors—which as it is—are facing huge financial challenges in trying to repay their loan would be able to absorb the shock with time. While the chairman of Hotels and Restaurant Association of Bhutan, as the representative of the hotels and restaurants in the country said that they haven’t concluded anything yet as they are waiting for the government to come up with the finalized rates. The hotel industry, which is a more labour intensive industry are definitely expected to feel the pinch considering that most of the employees are currently paid a minimum daily wage of Nu 250-300. The General Secretary of the Construction Development Board said that the construction sector wouldn’t be affected with the increase in the wage rate to Nu 450 or 500 as the Bhutanese workers are paid a minimum of Nu 500 at the moment. 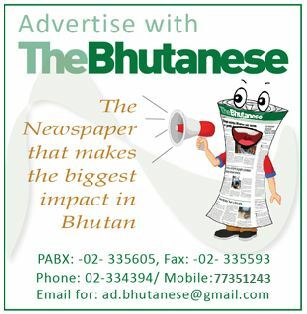 The Bhutan Chamber of Commerce and Industry, as representatives of the private sectors, is also waiting for the final and official rate from the government. The existing daily minimum wage rate of Nu 125, anyway, is only inked on papers as the private companies and corporations already pay between Nu 9000-12,000 per month for a driving job or other support staffs, which is an average of Nu 350 per day. The government in their quest to bridge the gaps between the haves and haves-not maintains that everyone must come together to elevate poverty and improve livelihoods of the underprivileged by sharing a pie from their profits while also being cognizant that some sort of ripple effects from such moves are unavoidable. However, since the move to increase the minimum daily wage rate to Nu 450 or more outweighs the cons attached, and keeping their broader national vision of narrowing the income equality gap, the move has already received overwhelming responses from the youths and employees working below the daily minimum wage rate of Nu 450 alike. The writer is the Chief Reporter of The Bhutanese and the views above represent her personal views.